Reversible Comforter Just $11.99! Down From $120! PLUS FREE Shipping! You are here: Home / Great Deals / Black Friday Deals / Reversible Comforter Just $11.99! Down From $120! PLUS FREE Shipping! 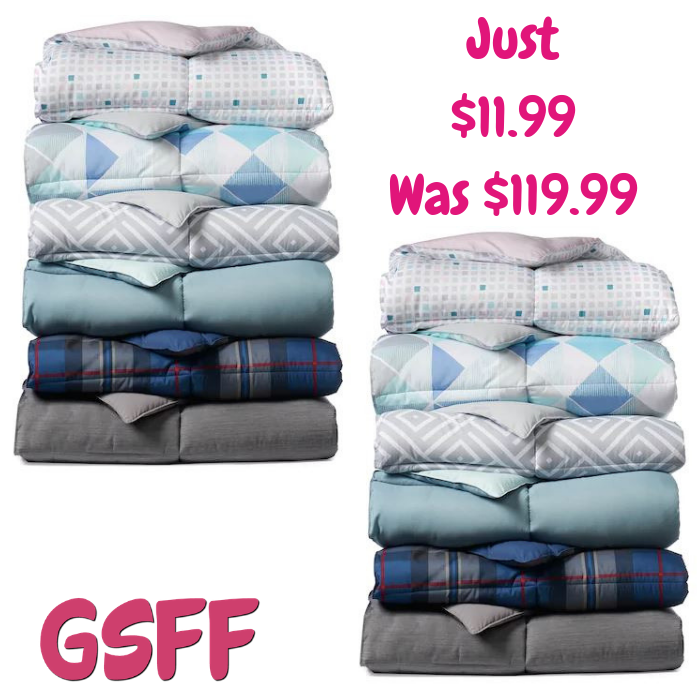 Hurry over to Kohls where you can get 3 The Big One Reversible Comforters for just $11.99 each down from $119.99 PLUS FREE shipping after promo code JOY at checkout and earn $15 Kohl’s Cash for spending $50!